Robert has extensive experience in a wide variety of transactions and tax planning matters, including cross-border and domestic mergers and acquisitions, corporate reorganizations and restructurings, corporate finance, international tax and trusts. He is also an experienced tax litigator. 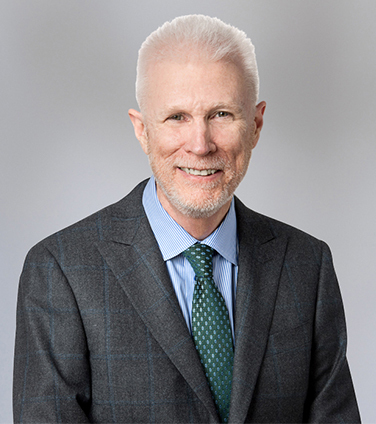 Robert is an adjunct professor of tax law at McGill University's Faculty of Law and the Faculty of Law at the University of Toronto, and a sought-after speaker and writer on tax topics. He has spoken frequently at the Canadian Tax Foundation’s Annual Conference, the Annual Conference of the Canadian Branch of the International Fiscal Association and many other professional venues. Homburg Canada Real Estate Investment in connection with its $160 million initial public offering and listing on the Toronto Stock Exchange. The Lexpert/American Lawyer Guide to the Leading 500 Lawyers in Canada, 2014-2018: Most Frequently Recommended, Corporate Tax. The Canadian Legal Lexpert Directory, 2014-2018: Most Frequently Recommended, Corporate Tax. The Canadian Legal Lexpert Directory, 2016-2018: Repeatedly Recommended, Estate & Personal Tax Planning – Estate Litigation. The Canadian Legal Lexpert Directory, 2016-2018: Repeatedly Recommended, Estate & Personal Tax Planning – Estate & Tax Planning. The Lexpert Guide to the Leading US/Canada Cross-Border Corporate Lawyers in Canada, 2017: Corporate Tax. Lexpert Special Edition: Canada’s Leading Corporate Lawyers, 2014. The Best Lawyers in Canada, 2015-2019: Trusts and Estates. Expert Guides: The Legal Media Group Guides to the World’s Leading Lawyers, 2012: Tax Advisers. Who’s Who Legal: Thought Leaders - Corporate Tax - Controversy 2019. Who’s Who Legal: International - Corporate Tax - Advisory; Controversy 2018.